We’ve collected some helpful information for you to help with the process of moving. Our communities are conveniently located with easy access to Route 95, 295, 495 and Route 1. 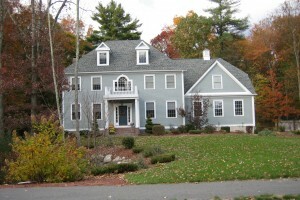 We are within easy driving distance to Boston and Providence. Frequent bus service is offered to Logan and Green Airports. Visit nearby Emerald Square Mall, Wrentham Villiage Premium Outlets, the Orpheum Theatre, Tweeter Center for the Performing Arts, and may outstanding cultural facilities. Foxboro is also home to Gillette Stadium, home of the New England Patriots Superbowl Champions! Foxboro has a new Senior Citizens Center and a wonderful public library. Foxboro, which is 21 square miles, boasts an extraordinary network of natural parks and recreational facilities. Conservation land was purchased by the town in the early 1980s and these parcels, combined with 2800-acre Gilbert State Forest, make our community an ideal spot for hiking, mountain biking, and cross country skiing. The Canoe River aquifer, Neponset and Norton Reservoirs, and two regional Audubon facilities and numerous local lakes offer unlimited ways to enjoy our beautiful natural environs. Blossoming springs, sunny summers, crisp and colorful autumns, and wonderland winters, characterize the classic four seasons of New England that we enjoy in Foxboro. From backyard cookouts to long days at the beach to exploring mountainous terrain our location offers the enjoyment of the best each season brings. Bus service to Logan Airport in Boston and T.F. Green State Airport in Warwick, Rhode Island is available daily at Foxfield Plaza on Central Street, Foxboro. Commuter Rail, known as The T, is operated by Amtrak under contract to the Massachusetts Bay Transportation Authority (MBTA). 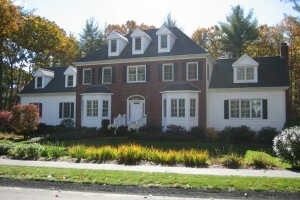 The Sharon and Mansfield train stations are located less than 5 miles from the Mayfair communities. The T travels daily between Providence and Boston with 20 arrivals and departures. Boston’s Logan International Airport provides direct flights to major U.S. cities and international locations. T.F.Green State Airport in Warwick, Rhode Island offers direct and connecting flights to major cities. 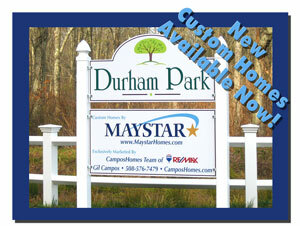 Maystar Realty builds homes that are Energy Star rated to save you energy. Copyright © 2010 Maystar Realty. All rights reserved. Website by Gagnon Consulting, Inc.